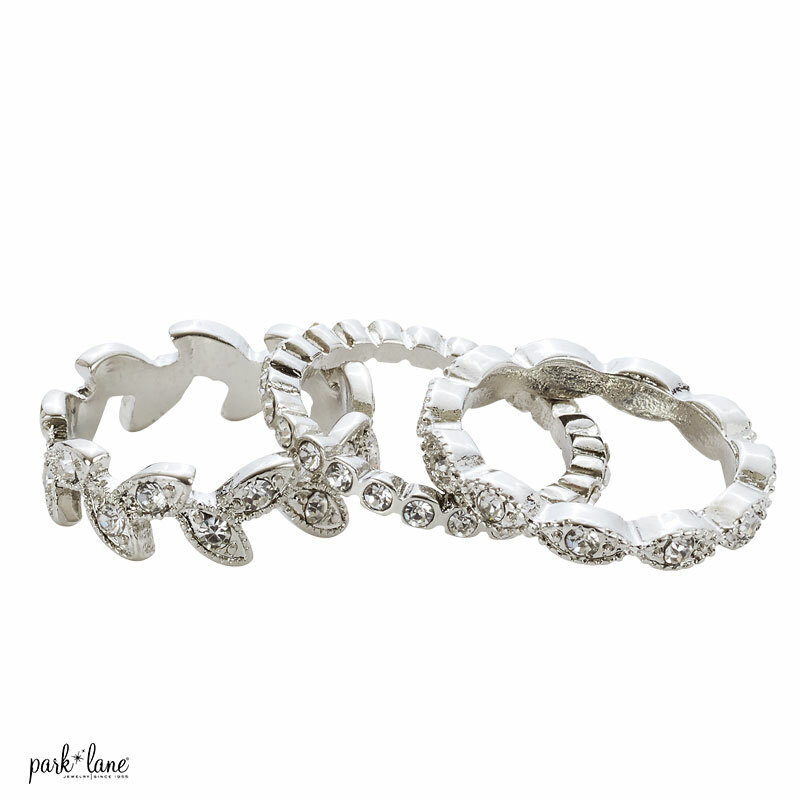 Say, “Yes!” to hosting a Park Lane get-together and Trilogy ring can be yours for only $20! Three separate blingy bands mean multiple looks! Wear together as one bold statement or wear separately when you’re in a dainty mood. Specify size 5-10.